Do you ever wake up and think today you want to be a pirate, then a Victorian, a gardener, an explorer, then maybe move to the Caribbean for a bit? Well right here in the Midlands and Shropshire it's entirely possible - and you can couple it with cocktails. Is there a themed bar we've missed? Email webdesk@expressandstar.co.uk and let us know. You won't need a love potion to fall head-over-heels with Birmingham's laboratory offering - The Alchemist. The Alchemist champions molecular mixology and the alchemy behind cocktails, celebrating the world of science and all things dark. 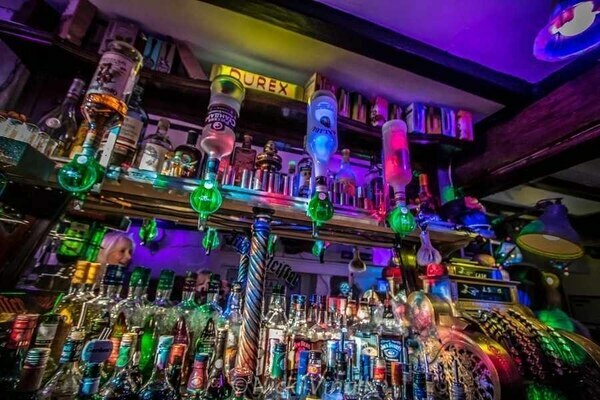 Bunsen burners, smoking guns, and blowtorches are at hand to make these cocktail creations bubble and boil - they even have a colour changing tipple that will blow your mind. Known for it's quirky and suave decoration, get your gardening gloves on and step inside The Botanist - the green-fingered cocktail bar. The Botanist utilises natural fruits, herbs and spices to create it's own-brand cocktails and watering can concoctions, served in an actual watering can. This use of natural ingredients moves into it's food menu that takes inspiration from artisan deli's with a wide variety of vegetarian and gluten free options. You can delve into the Plant Rooms and step back into the eighteenth century, a time of global exploration where travellers discovered an array of exotic plants and herbs. Or you can explore the Discovery Room, the perfect retreat for inquisitive plant lovers to dine in a botanical haven. The Tool Room is ideal for budding Botanists to partake in an ale tasting masterclass with friends, or relax at the bar as experts muddle floral delights before your eyes. Step into an authentic Victorian parlour at The Lost and Found in Birmingham. 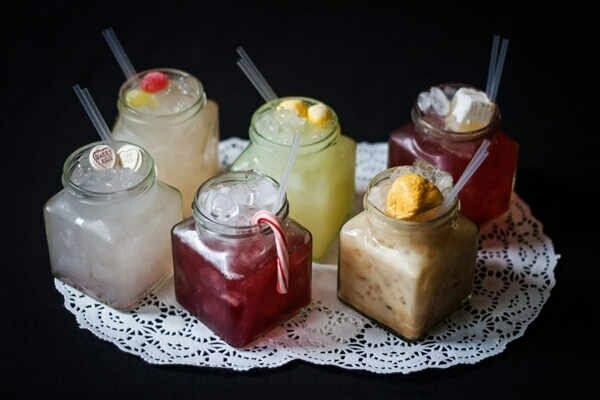 Sample some of their themed cocktails such as The Bay of the Beast, Corpse Bride and Bennetts Curiosity before delving deeper into the secrets the bar has to offer. 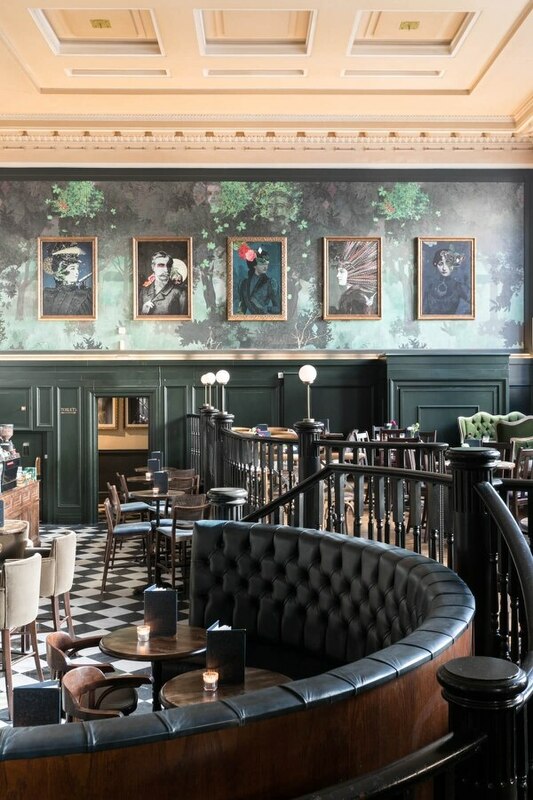 You can discover the famed bar behind the bookcase hidden within the venue, as well as the opulent boardroom with waitress service and the botanical garden where you can uncover the story of famous botanist Hettie G. Watson. With not one but three different themes rolled into one quirky bar, step into your own mystical wonderland at The Jekyll and Hyde. Settle into Dr Hyde's Main Bar with retro sweeties and sharing cocktails straight from the watering can or bathtub. 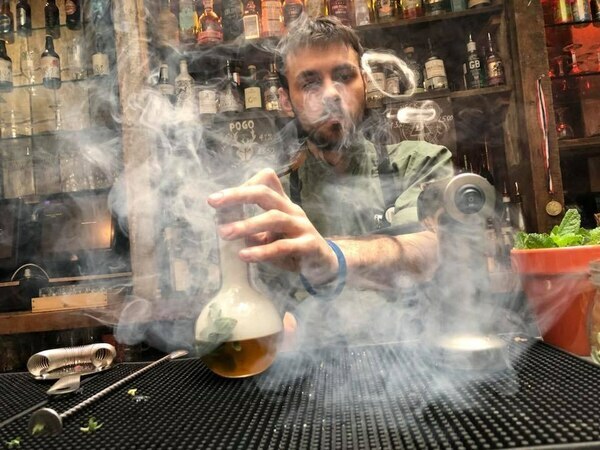 Then, delve into a cocktail masterclass in the laboratory that is Dr Jekyll's Gin Parlour with more than 50 different varieties of gin and an Alice in Wonderland Eat Me, Drink Me menu theme that carries on into the Wonderland Courtyard. Cuban Exchange brings a taste of the Caribbean to Wolverhampton with it's authentic music and cost-effective cocktail deals that fill the room on their club nights. Enjoy a Squashed Frog, Hey Gringo, Melon Bomb or a Nana Rama in either shot or full cocktail form while enjoying their non-commercial music and club night deals. The tropical island paradise that is Island Bar sits right in the heart of Birmingham, and provides a quirky, summery getaway for you to relax. 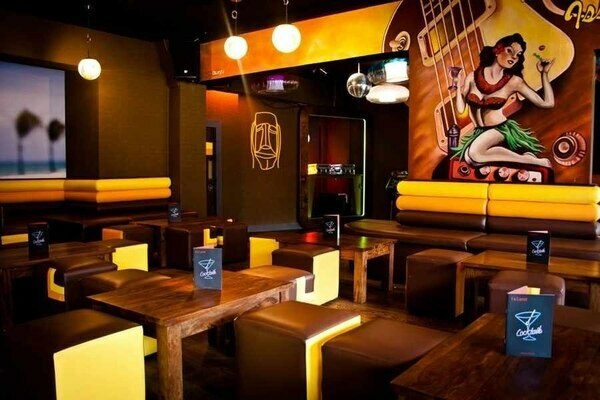 Not only is their bar themed, their menu covers a range of different themes with legendary cocktails, tiki tipples, a European and around the world selection, musical icons, the school tuk shop and more. 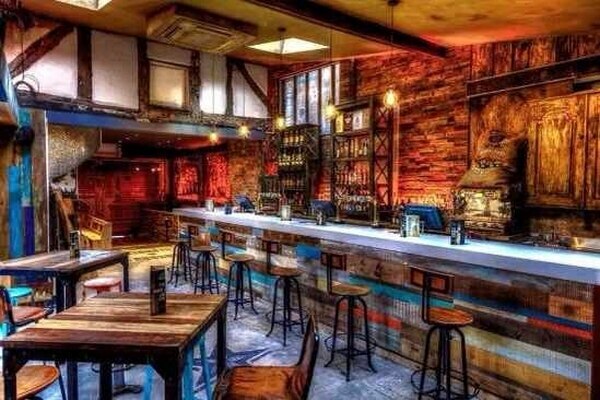 You can step out of the main bar with their gaming facilities upstairs to their authentic tiki bar for an island cocktail masterclass with an extensive rum selection and flavours inspired by by New Orleans, Puerto Rico and Polynesian flavours. Take a look inside a gothic themed pub straight out of a horror film at The Giffard Arms, one of Wolverhampton's oldest establishments. 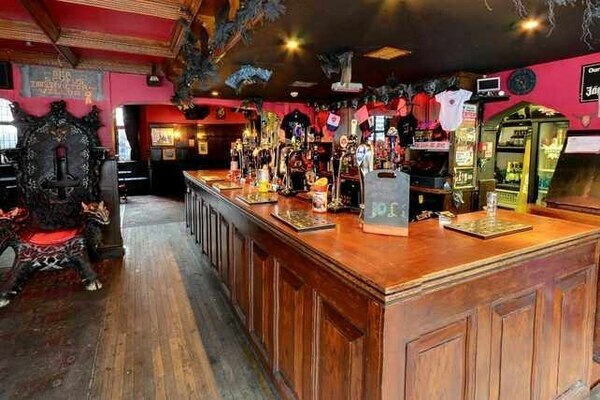 With coffin shaped tables, the famous spiritual throne, horror-themed wall illustrations and a giant bat flying above your head in the outside area; The Giffard Arms is a Transylvanian Castle in the middle of the town centre with an extensive range of cask ales and lagers. The Giffard Arms is dedicated to rock and metal music and also boasts two floors celebrating this with much-loved resident DJs taking requests on their club nights. 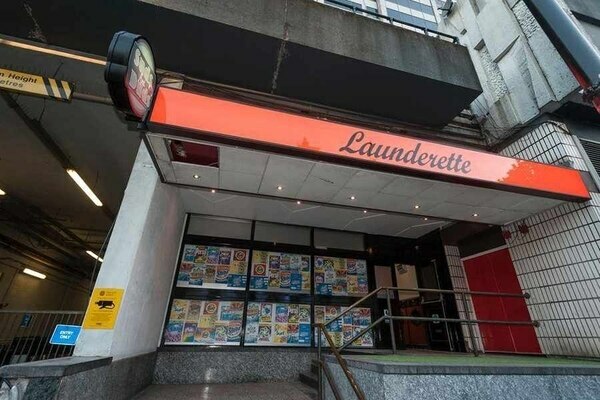 It's easy to mistake this bustling bar for a launderette, mostly because that's exactly what this hidden gem looks like. Behind it's disguise, this cosy bar is home to quirky cocktails, Suds tea service, and their very own food menu as well as a variety of live music events for patrons to enjoy. Percy's Coffee and Curios is an establishment like no other - it also buys and sells antiques. The bar prides itself on all things odd, with various funeral parlour items, a real moose head and Victorian female skull littering the bar for you to stare at - all while you're sitting in their industrial stools or dentist chairs. As well as an extensive bar of booze for you to peruse, they offer Hasbean Coffee blend and a variety of different milkshakes with unusual flavours that match the quirky nature of the establishment. Bodega Bar and Cantina offers South American food and drinks in a quirky and vibrant interior that has landed them in Yelp's Top 100 Restaurants list. Bodega source drinks and cocktail ingredients from South American Countries. 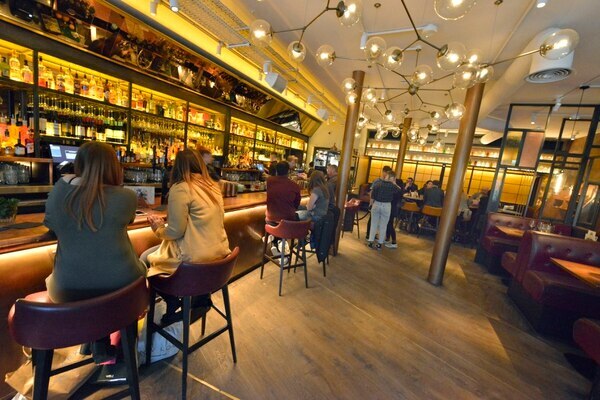 Their cocktail menu is divided by spirits such as tequila, mezcal and rum with a brief history of the drink itself, what brands they have and the cocktails they can put it into. To boot they also have a diverse food menu with a plethora of South American treats that are also available for takeaway and as an addition to their cocktail masterclasses in a buffet. Channel the essence of Cuba at Havana Republic with a wide selection of rums and party atmosphere. Serving Latino flavours with a hint of Caribbean spice, they offer a variety of culinary delights for you to sample as well as bright and vibrant cocktails. They also host live band nights to enhance the laid back, party atmosphere. 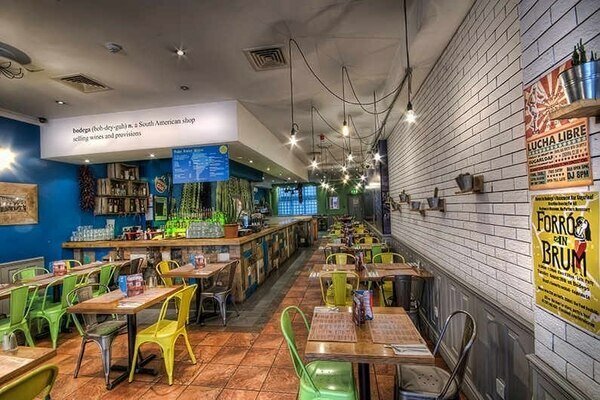 Famed for it's cocktail deals and vibrant atmosphere, Turtle Bay brings a slice of Jamaica right into the heart of Birmingham. 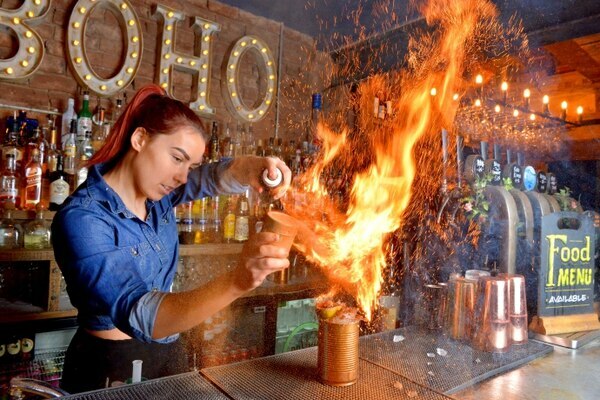 Turtle Bay has more than 40 rums sourced from the Caribbean and they're not shy about showing them off in their vibrant signature cocktails served with a flare. You can enjoy themed drinks such as the Tobago Tea, Jammin', Raspberry Reggae, Tease Me and more along with signature dishes from their jerk pit bbq. 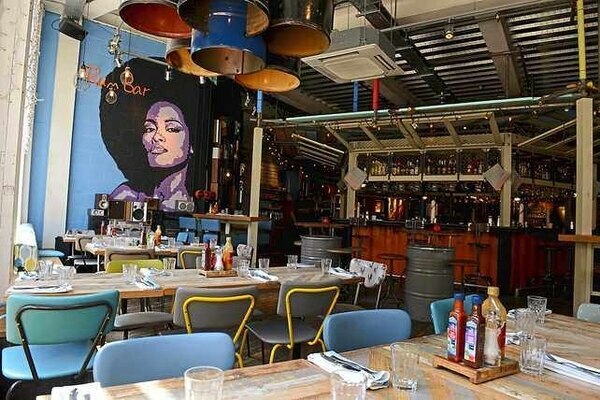 The venue is full of Caribbean wall art and memorabilia to set the scene as well as channelling carefree island life with vibrant staff, table service and music. 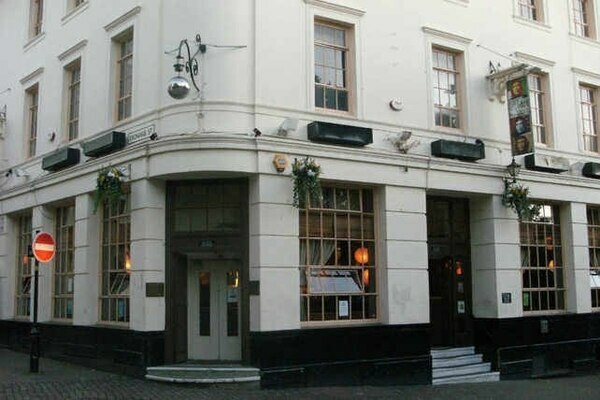 Paying homage to the buildings of Wolverhampton's Victorian past, The Bohemian takes you right back to the past for a nostalgic dining and drinking experience. The Bohemian champions the bare brick walls, exposed industrial columns and reclaimed wood features that Wolverhampton's architecture holds dear to create an environment for you to enjoy tasty food, craft ales, ciders and their very own cocktails. In the way of food, they offer a variety of sharing platters, a tapas style menu and lunch bites with coupling options for their drinks. 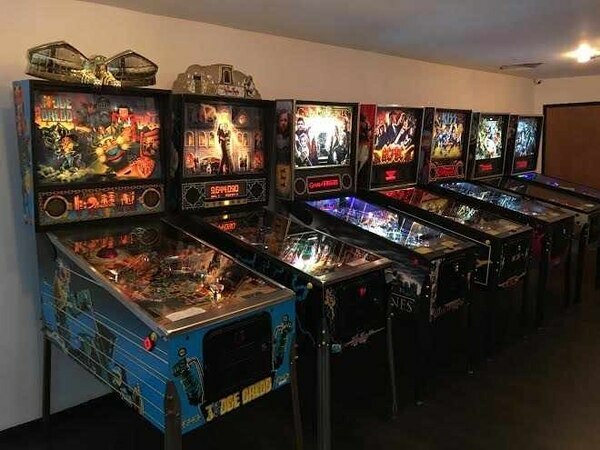 For an experience with a theme like no other, visit Tilt in Birmingham for a night of beer accompanied by pinball. During the day, Tilt serves a variety of coffees and baked goods in the quaint Grade II listed building it resides in. 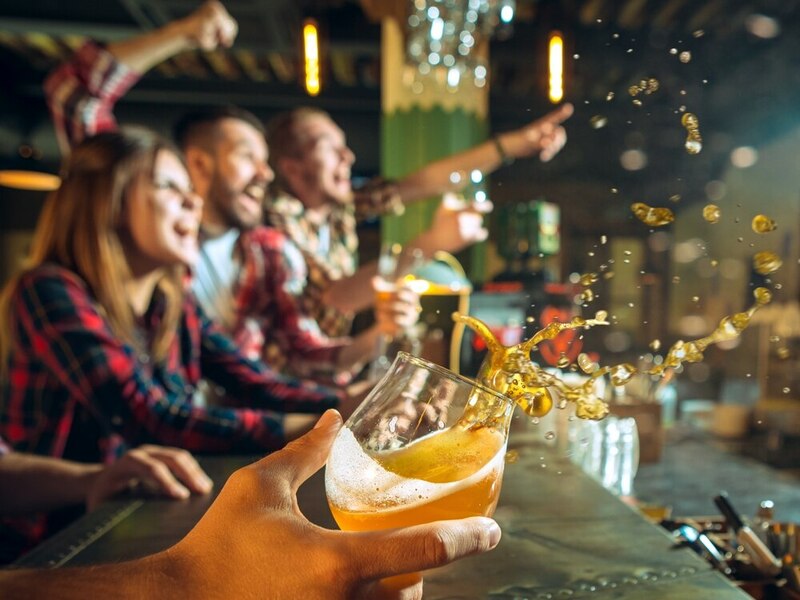 Then by night you'll find eight draft beers and over 30 different brands of bottled craft beer - all the time surrounded by a variety of vintage arcade machines to play to your heart's content. Encapsulating everything that is British, The Libertine bar takes pride in offering quality food and beautiful cocktails. 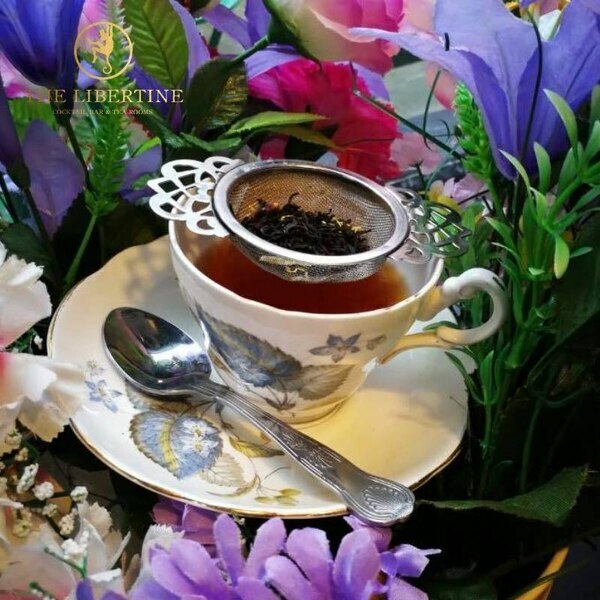 It offers a range of teas, coffees, hot chocolates, cakes and more with exquisitely presented themed cocktails - some are even served in delicate porcelain teacups. The Libertine also has eccentric decor and an ever-changing specials board both on drinks and food to keep the bar fresh and entertaining, coupled with various offers for those on a budget. Travel back to the 60s and 70s at The Night Owl in Birmingham. The venue features a modern spin on vintage interiors designed by Stax Creations, the people behind the exterior of The Old Crown Beer Garden. 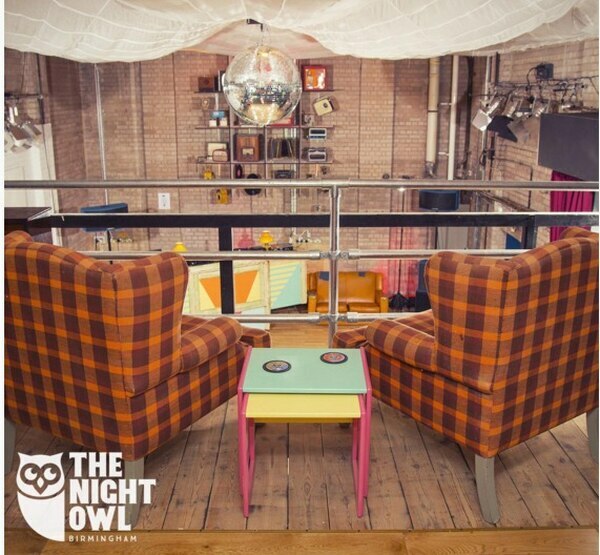 The Night Owl has a sprung wooden dance floor, making it safe for the acrobatics of Northern Soul dancing or just to ease the strain if you’re dancing all night. Wish you could attend Oktoberfest all year round? At Birmingham Bierkeller, you can. 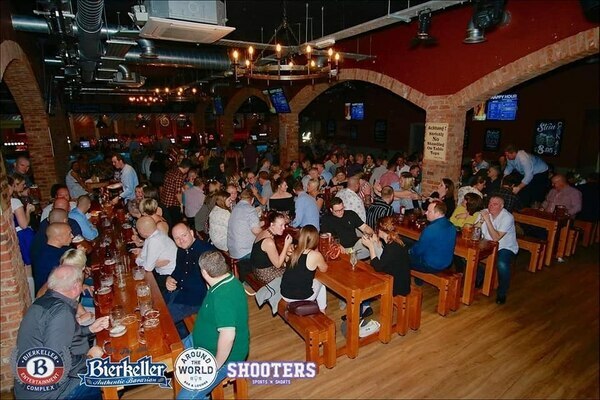 Grab a stein and tuck into a bratwurst before enjoying a traditional Bavarian oompah band at the venue every Saturday - but get ready for lots of audience participation and singing. Enjoy a glass of wine or a cocktail among Greek, Roman and Egyptian ruins without ever having to leave Birmingham. 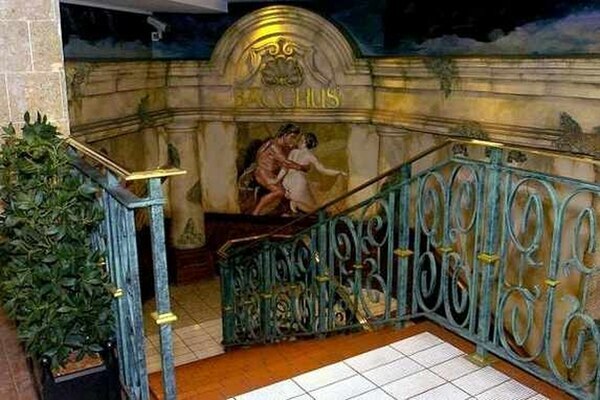 Bacchus bar has a stunning interior adorned with mythological busts, marble columns and stone pots, and it has three different themed rooms for you to explore. Grab a drink in the Egyptian room, sit down for a hearty meal in the French dining room, or sample one of the fine ales in the medieval bar. 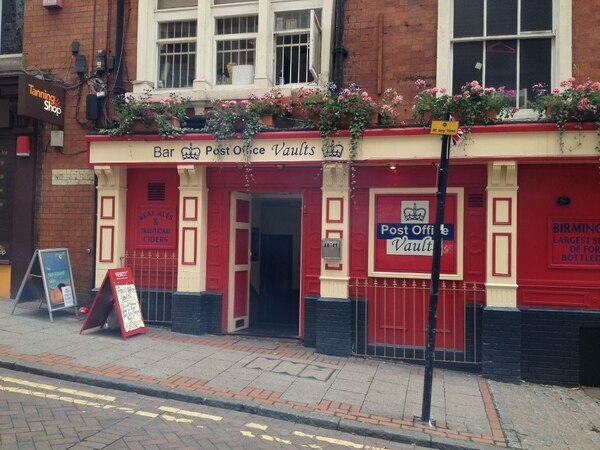 You could easily mistake this pub as just a regular post office, but the Post Office Vaults in Birmingham has a fine selection of foreign beers for you to try. Take a trip around the world with their beer passports. You can mark off each different beer you've tried as you drink it, making it a lot easier to pick a drink when you go to the bar. If beer isn't your thing they also have the largest selection of traditional ciders and perries in Birmingham with a regularly changing range of 13. It may be a secretive venue, but Speakeasy Bar has a style and drinks menu you'll want to shout about. This vintage bar will take you right back to prohibition times, down to the fact you need a secret password to gain entry.